Menopause affects each woman differently. You may barely notice you’re in menopause or you may have severe symptoms, such as hot flashes, headaches, and sleep loss. The compassionate team of doctors at OB/GYN LTD. in Springfield, Ohio helps women live well through this significant time of life. Call today or book an appointment online. When your menstrual period completely stops, it’s called menopause. Doctors usually declare a woman is in menopause when she has missed 12 or more periods in a row. The time is marked physically and emotionally as the end of fertility. The timing of menopause is highly variable, but the average age in the United States is 51 years old. What treatments are available to help with menopause? Doctors often recommend natural lifestyle remedies to help offset the effects of menopause. Top recommendations include eating well and supplementing with vitamins, exercising regularly, and going to bed at a set time each night. If you struggle with the symptoms of menopause, your doctor offers sympathy and support and may recommend a medication to help you through the worst of it. Hormone replacement therapy (HRT) may be a viable option for you as well. Your doctor at OB/GYN LTD. talks with you and evaluates your health history to determine if HRT is a good fit for you. If they prescribe HRT, it’s administered as a pill, patch, pellet, or cream. What happens when a woman is fully in menopause? 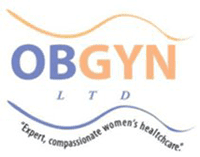 The compassionate providers at OB/GYN LTD. provide thorough and comprehensive care for every aspect of your transition into and through menopause. They offer regular screenings to detect problems early and help you maintain optimal health in menopause and beyond. Call today or book your appointment online.